then into Arabic to be in reach of most Syrian population. we pray everyday for Nicole. Thank you for pointing this out. I've sent a message to our tech guys to confirm and correct. I am originally Syrian but have not lived there since I was a kid. The bedouins do have a different lifestyle than the ordinary Syrians in that they are nomads. They live (or used to live) in tents in the desert and tend to sheep. Even though they may not be considered sophisticated by some Syrians, the impression is that they do not have criminal tendencies. They are just very simple people. Because they live in the desert in harsh environment, they are known for helping each other and other people so that the favours could be returned when they are in need. I do not believe there are any tensions between them and the authorities. However, I think some of them might be a bit isolated. Someone previously commented that everyone in Syria has a satellite and gets aljazeera. Heshe was wrong..the bedouins don't! If Nicole was in trouble and they found her they probably would be helping her. It is a girl who lived with the Syrian bedouins and loved them so much she kept returning to visit. I truly believe if Nicole was with them she would be safe. It seems most cities have an arabic community, usually can find them via their church. I have been emailing Nicholes missing posters to arabic churches in my area, maybe others can do the same. This may also help with Matt's thoughts on the Bedouin people. You never know maybe someone has a long lost relative still living the Nomad life, we may end up with a contact. It is unlikely that a nomad would make it to Canada..also they are muslims so their relatives would not be attending church. She has made Canadian national news, thank goodness. My heart goes out to you, wishing her safe return! The American media will spare no effort in making Syria look bad and hence their interest in your story. Just make sure they are not using you as a propaganda tool. The article in Middle East times (published from Tel Aviv) was also hinting that Syria is a bad place to travel to. Fact is Syria is one of the safest places to be..things like that are unheard of.. I was just informed that Nicole is your sister... We had heard the tragic story out here on the West Coast, but I did not make the connection. I would like to encourage you to keep your Fighting Spirit armed and ready for action; be brave in the face of adversity and continue exploring all the leads/suggestions/hunches you've been getting. There's much to be said for the incredible effects of positive thinking. We can only hope and pray that this crisis is resolved as soon as possible, with the safe and expedient return of Nicole. Our thoughts and encouragement are with you and your family. On the web site of Hama there is a list of all the important sites. There are 13 castles (not all easily accessible), among which is Shmemis. The castle is accessible through a small highway, but visitors need to climb a hill afterwards. 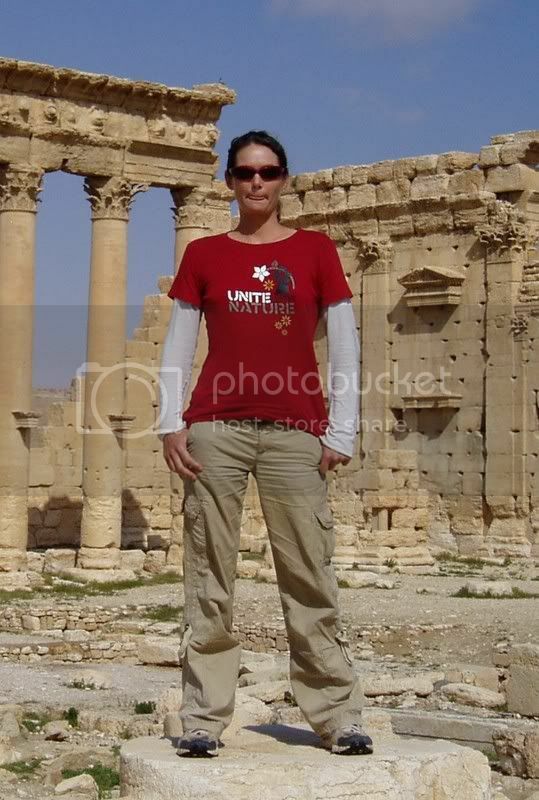 May be you should start inquiring at Travel agencies (tourist agents) in Hama (popular ones) to see if any of their guides met or saw Nicole alone or with other tourists at sites or organized trips. If they accept, distribute the posters at their offices. Here is a list of the ones in Hama provided by the Ministry's web site. I visited Qala'at Schmimis last winter. It's easy to go there, taking a microbus from the microbus garaj, in Hama, to As Salamiyah (about 3/4 hour). Once in As Salamiyah, the castle is a small hour of walking from the center of the town. The castle is alone in the fields, on a hill. It is a small one, very ruined. You can see it, just west of As Salamiyah, on Google Earth : it's a hill with a big "WELCOME" written on its slope with stones. As Salamiyah is a small town where many Bedouins come for trading, maybe it could be useful to ask to some important Bedouins if they can collect informations among the families settling in the area. From Hama, through As Salamiyah and As Sa'an, there are some buses going to Ar Raqqa, about 200 km eastwards : these buses ride just along Ar Rassafah, a well-known ruined city in the desert, just 30 km south of Al Mansurah (on the main road Aleppo-Ar Raqqa). There are also trucks on that road and a rest-place for them on the crossing with the main road in Al Mansurah (30 -40 km before Ar Raqqa). This road is not an usual one for the tourists and I've never seen in books that there were buses between Ar Raqqa an As Salamiyah (I just discover this this winter). On maps, this road is still indicated as a "track". There are just three or four small villages along, between As Sa'an and Ar Rassafah. So if someone could place some posters on the crossing of Al Mansurah (rest-place) or in the two Garaj (bus an microbus stations) in Ar Raqqa, and in As Salamiyah, just in case... These places are meeting points between the Bedouins and the people of towns. I hope this could be useful for your quest. Are you aware about this link ? No I wasn't - thanks for pointing it out. I wish it included a link to the web page! I will be in Syria soon and I'll print out Jacqueline's photo to keep with me during my trip in Syria. I couldn't read all comments, as the number is quite huge. I know that so much time has passed since your beloved sister has dissipated, i was really shocked to read about the incident. I really don't want to add any more theories about her disappearance, and only pray that she is OK. and that someday she will return back to Canada for the sake of her parents, friends, Canadians, and the Syrian people. 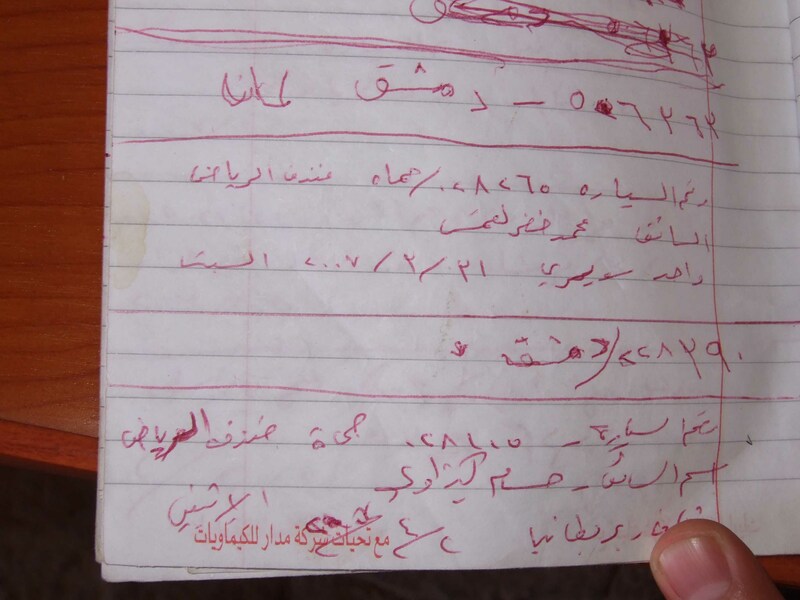 I have noticed on the guest list,few americans that had a syrian residency,it only means couple thing,either they are syrian origin visiting syria with american passport(unlikely) or they are americans working in syria (thats how they obtained syrian residency),the reason they show there residency ,is to get low fares as syrian resident instead of paying high tourist fare...this shouldn't be hard to find out,who they are. Wonder if that group of people could be teachers - working at an international school maybe - or students of Arabic. Anyone want to try to send an email to international schools in Damascus asking them to look at this website? How about Arabic language schools in Syria - anyone have a contact that could post this web page on their message boards? Hi, Glad you took my previous advice about distributing business cards with her photo on. Do they also have milk cartons in Syria with missing faces on - could be worthwhile exporing. Sorry to explore this option, but have you visited the local morgues in the regions she was missing? Did she have her passport with her or has it been found? As for the guest lists of names, couldn't the airlines help you track these individuals? Taking into account they could of backpacked their way to Syria, rather than taking a direct flight - so could be difficult. One other thing, what about contacting travel agencies like STA Travel. They can place her missing poster in their offices and give out your business cards to travellers to Syria...worth a try! Haddad Pension "Just like staying at grandma's place." sounds like the place Nicole wrote about staying at. That sounds like exactly the right place. I've updated the itinerary to show that we've answered that question.